What is the best way to get to Machu Picchu other than the Inca Trail? If you are short on time, this Machu Picchu full day tour is a great option to add to your Peru travel plans. A wonderful day is ahead of us. 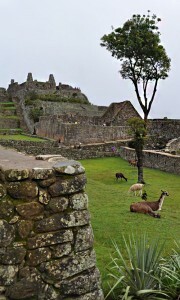 You will be visiting the world-famous Inca Citadel of Machu Picchu today. If you are in Cusco, we’ll head to Poroy Train station where you’ll board the train to Aguas Calientes for a spectacular scenic ride. The train journey itself is an experience, you will have amazing views of the Andean scenery. Upon arrival to Aguas Calientes, you’ll take a 30 minute bus drive to the top where the entrance to Machu Picchu is located. Here are toilet facilities and a place to store your belongings if needed. We will participate in a 2 hour guided tour of the citadel, we’ll visit the Main Plaza, the circular tower, the royal chambers, the sacred sun clock, the temple of the three windows and various burial grounds. After your tour you’ll have free time to explore the archeological site at your leisure. Later in the afternoon you’ll head back to Aguas Calientes by bus. Here you will board the train back to Ollantaytambo. Upon arrival you will be transfered back to Cusco downtown. Train ticket to and from Aguas Calientes. Camera and additional memory cards!